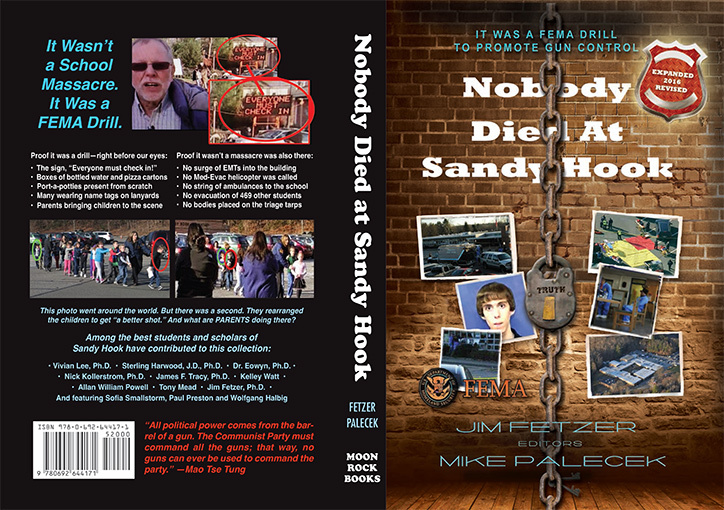 Happy New Year – and the good news is, the Sandy Hook kids are all grown up and alive and well, here they are courtesy of Mr Halbig. It was all JUST A DRILL. They were all just playing a game, pretending to be dead …. Here’s the book, Yep I’m in it. I second that. Nick, your take is always stimulating, interesting and appreciated. You are missed when you are gone for a while, glad to see you are back. This whole Sandy Hook hoax scares me. I find it scary that even with overwhelming evidence to say it never happened, people still believe it did. I find it hard to believe that it was pulled off in the first place and the public were lead to believe it really happened! Surely this now has to be officially exposed. I am working my way through the book after listening to Jim Fetzer discussing this and you also with Richard D Hall. I was perplexed at the actions of Robbie Parker during his press interview, he looked liked he was collecting an oscar before his oscar winning performance! 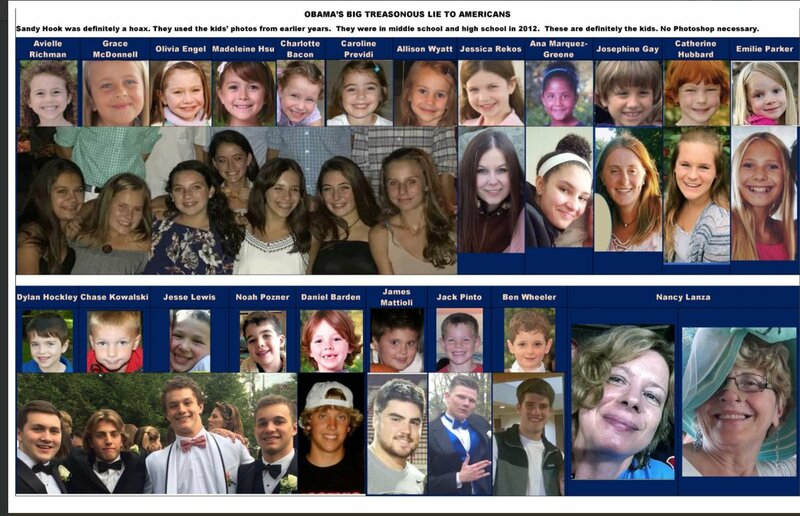 20 children killed outright, eight adults including alleged perp and mother killed outright. One wounded, unidentified, not interviewed. Total death in a massacre, where the weapon ejects a missile I.e. bullet, arrow, only ooccurs when it is staged. To massacre 26 people with single shot weapons even automatic weapons although possible would require an aftermath of finishing off.. The most difficult part of this ”event” is the ” disappearance” of the primary evidence, the bodies of the victims. I cannot imagine any authority successfully separating people from their loved ones especially very young children.